This year, Christmas has turned me into a person I’m usually not. While others are out in the frigid cold, fighting for that last christmas sale, stopping by Starbucks to buy their favorite holiday drink, and dressing up for Christmas parties, I’m either working or hanging out in my little cozy apartment. I shouldn’t have used the word ‘hanging’ (i.e. chilling, resting, doing nothing), because I have, in fact, been a busy little bee. In my few short hours I have each day (one in the afternoon on my lunch break and two at night- after work and before bed) I manage to cook, clean, shop, pay bills, AND pull out my domesticated Martha Stewart side. 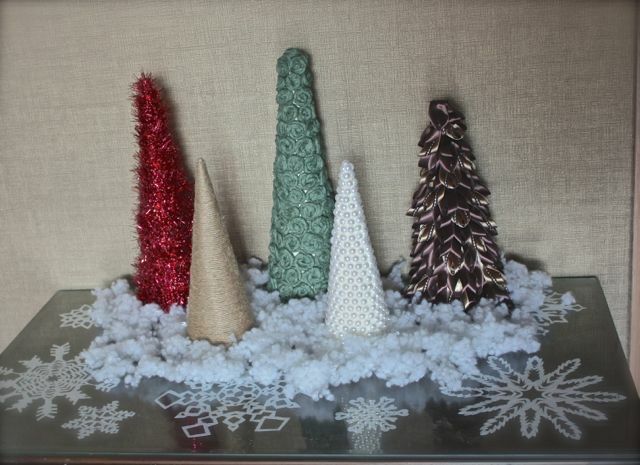 I’m not much of a crafter usually, but for some reason, around the holidays I get inspired to make things. I don’t know if it’s the cozy, heated, warmth of my house, the multiple chai lattes that I unashamedly down, or the general busyness of the season that gets me in the ‘making’ mood. This year I’ve taken it upon myself to go all out. 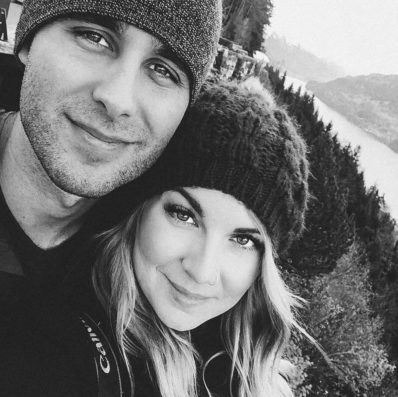 As I’ve mentioned before in my first post about Christmas (you can view that and it’s cheeriness here), decorating in a foreign country that isn’t huge on Christmas, so it has become a personal challenge. I’ve scouted out all the local craft stores…and have pretty much bought out the one that’s right below my school (fortunate for the owner, unfortunate for my pocketbook) of it’s ribbons, glitter, foam shapes, and paper. I’m sure the lady at the counter loves it when I come in. I alone probably make her daily quota in sales. I am by no means finished with my holiday craftiness…but I thought I would get started with posting the few things I have done. The four projects below are completely finished, and I have about 4 more that are in the process. The problem with me is that I tend to have a little case of ADHD, and flutter from one project to the other, forgetting the hot glue iron is on, the water is running in the sink, or that the oven is burning my latest and greatest salt dough design. I think I’d be finished with more projects/crafts if I had stuck to one before starting another. I just go into a craft store and see all these great things, and ideas come flooding into my brain. Sigh. Maybe I’ve been drinking too much coffee lately…which is fairly possible due to the work load. Ok. Back to the subject. 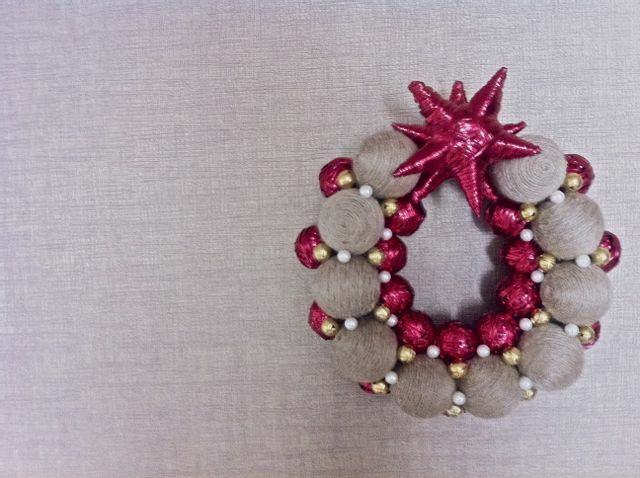 The first project I completed was a cheery little wreath to hang from my door. I am quite proud of it, I do believe I happen to be the only one in my building…maybe my apartment complex that has a wreath. As easy as it looks…this thing took some time. I found a foam wreath circle and multiple sized foam balls (and stars) at one of the local craft stores. I had to hand wrap everything…which took me about three days. Then I figured out my design and started gluing. Can I just say that hot glue guns are about as handy as smartphones? Maybe that’s stretching it a bit…but you can use them for anything! Gluing anything to the wall without peeling up the paint or punching a hole (this trick I learned in my college days), gluing your couch back together when a certain rabbit decided to go on a chewing rampage and tore a hole in the cushion (sounds more extreme than it was), gluing a fallen gemstone from an earring or necklace back on, and of course crafting. I don’t know what I would do without my glue gun! Once I was finished with the wreath, the next challenge was hanging it on the door. Our doors are made of some sort of metal. Maybe steel. People use magnets for advertising because these doors are so common. I couldn’t obviously nail a tack into the door…so the next option was a wreath hanger. After searching high and low, one of those were no where to be found. The option of hot gluing my wreath wasn’t an option…it’s pretty heavy. So I did the next logical thing. I brainstormed. After browsing the local superstore I decided hanging a command hook on the inside of my door, upside down and attaching a ribbon to that and the wreath would be the best option. Sorry if you cant picture it, but it actually turned out pretty awesome, and is WAY cuter than a wreath hanger! Now I have the cheeriest little wreath hanging on my pastel pink metal door. hmm. 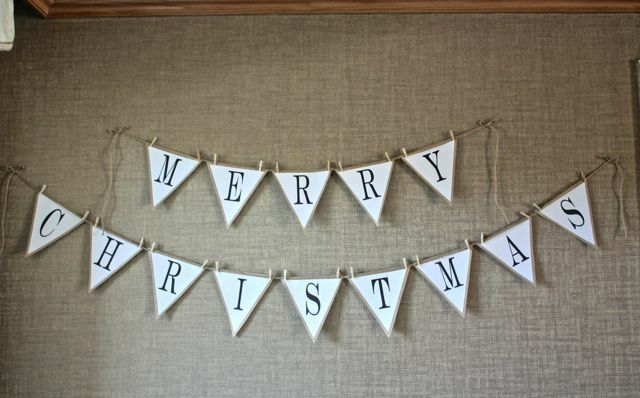 The second craft I made was a ‘Merry Christmas’ banner. I have quite a few empty walls in my apartment (probably due to the fact I didn’t want to move all the way into this place because we’re leaving in a month for a different apartment). I made this banner using pre-made lettering I found here, cardboard-like paper, hemp string, and miniature clothes pins. I actually like the way it fits my wallpaper, although I may add some shimmer and sparkle to it yet- I haven’t decided on exactly what. The third project was another type of ornament to put on my tree. I have some generic ball ornaments I bought at Costco…and if you’re really dying to see what they look like you can check out my first holiday blog post listed above. I really wanted more on my tree, and have had a few ideas! One is finished, one is in the process, and one I haven’t started yet. I decided to make little ribbon bow ornaments. After googling how to tie a bow, I came up with this delicate design. I used a twist tie in the back to tie it onto my tree. I made about twenty of these guys, and they fit nicely…I’m very happy with how they turned out. My final crafting project has taken the longest. I’ve been working on these for quite some time…and finally finished them this morning! 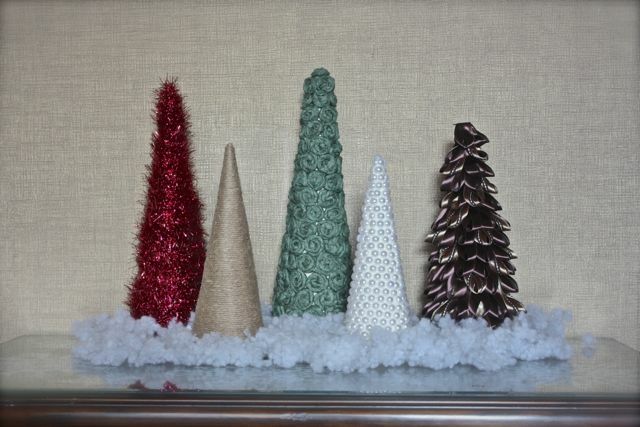 I am a sucker for texture, so when I figured out making mini christmas trees was in my future, I began looking for material to wrap my cones trees that are made out of cardboard. My actual Christmas tree is red and gold, so I wanted colors that would compliment that…and this is what I came up with. The top of this little coffee table/cabinet is removable glass, so I took the opportunity to get the inner kid in me out and make paper snowflakes to put under it. I plan on making my own stockings to hang somewhere above these festive little trees…that’s another blog post for another day. In the mean time, I hope you as well are enjoying your Christmas holiday, and don’t be afraid to try and make decorations yourself! 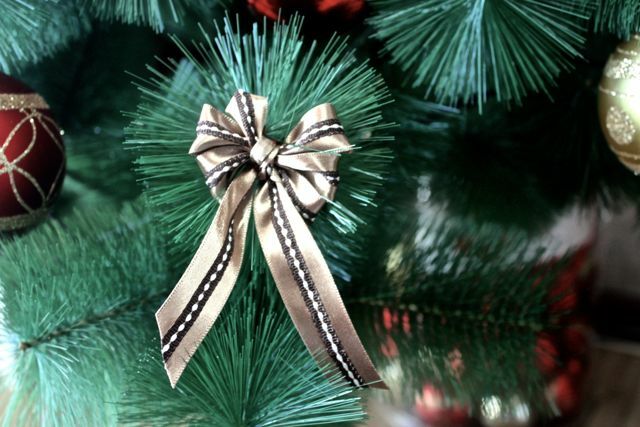 What have been your ideas or inspirations this year for holiday decorating?